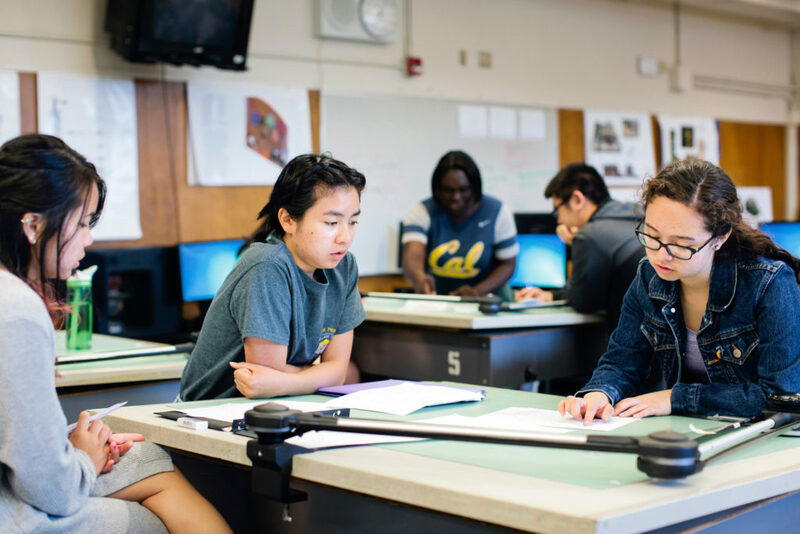 High school seniors participate in the engineering academy at Oakland Technical High School in Oakland. California’s high school graduation rate crept upward, but so did its dropout rate, with about 1 in 10 students overall and nearly 1 in 6 African-American students in the Class of 2018 quitting school, according to new state data. The California Department of Education also published the latest data on student suspension rates, which declined for the sixth straight year, and on chronic absenteeism, which rose slightly in 2017-18. You can find 2017-18 data at the California Department of Education’s DataQuest site. Go here for the graduation and dropout numbers by race and other student groups. Click the Report Options and Filters link to switch from numbers to percentages. The California Department of Education advanced the release of information months earlier than in previous years so that for the first time, there will be up-to-date data for the California School Dashboard, which is scheduled to be released next month. The color-coded dashboard, a key component in the state’s accountability system under the Local Control Funding Formula, rates schools and districts on a number of indicators, including graduation rates, standardized test scores, suspension rates and, for the first time, chronic absenteeism. The colors determine which low-performing schools and districts will receive support from county offices of education. Both graduation and dropout rates have improved significantly over the past decade, with some yearly fluctuations, and persistent disparities among ethnic and racial groups, and between low-income and wealthier students. The 2018 graduation rate, which tracks a 4-year cohort of students who started high school in fall 2014, was up 0.3 percentage points, to 83 percent. It’s a small rebound from 2017, when the rate dropped from a record 83.8 percent reported the year before. That decline occurred after the federal government forced the state to adopt different rules for calculating graduation rates. Differences among student groups are still wide, even as rates have improved for all groups. 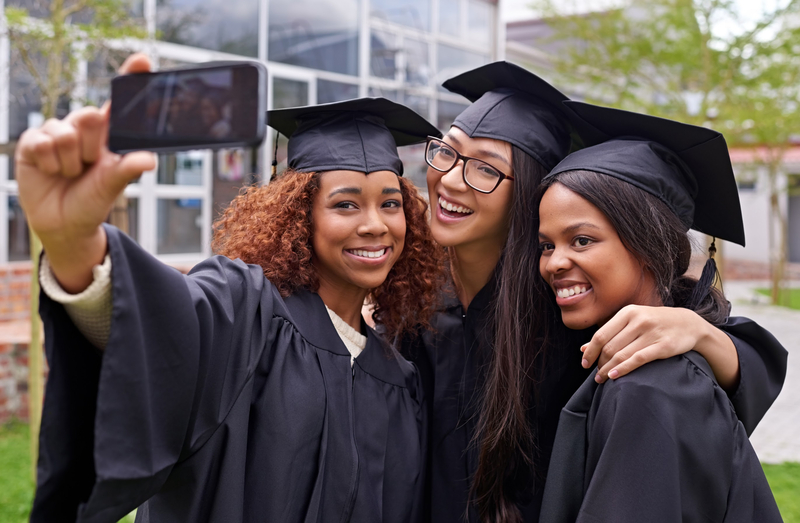 Only 73 percent of African-American seniors earned a diploma last year, compared with 93 percent of Asian students, 81 percent of Hispanics and 87 percent of white students. Also trailing were students with disabilities (66 percent) and English learners (68 percent), although the latter does not include the bulk of English learners who have become proficient in English and were reclassified as a result. Over time, dropout rates will fall as graduation rates rise, but in some years they may both increase. This partly reflects fluctuations in the number of students who continue after senior year in an alternative high school — and are classified as neither dropouts nor graduates. This occurred in 2018, when the statewide dropout rate rose a half-percentage point to 9.6 percent; that amounts to 48,453 dropouts, 3,400 more than in 2017. The overall trend, though, has been a decreasing dropout rate, falling 40 percent since 2009-10 (see graph). The 16 percent of African-American students who dropped out was well below the 27 percent who left school nine years earlier. But it’s still five times the rate of Asian students, more than double the rate of white students and 60 percent higher than Hispanic students. Under the Local Control Funding Formula, foster youths and homeless children receive additional funding and districts are required to address their needs in their Local Control and Accountability Plan, the document they write annually detailing how they will improve school and student performance. The latest data underscore the need for more attention for those students. Only 53 percent of the state’s foster youths graduated last year and 28 percent dropped out. Of the 23,771 homeless students, 69 percent graduated and 18 percent dropped out. Dropout rates are often difficult to calculate because of the number of students who leave school and move. The dropout rate doesn’t capture the number of students who drop out and re-enroll during the year in a continuation school or alternative high school with programs that serve students who are having academic and life challenges.